Why, hello there, dear reader. You’ve been feeling a little neglected of late, and not without cause. I didn’t mean to go away for so long, and you were always on my mind. In a way I take comfort from the way that some people readily presume that I am dead if I haven’t posted in a while. Certainly, that’s the approach taken by my mother, who recently got quite worried given that I hadn’t posted on Facebook for a couple of days, and hadn’t updated this blog in over a month. I apologise to all: I’ve been busy (rather than dead), and my conscience is all the more pricked for having missed this year’s annual High Town Festival over the weekend of 15-16 July, which I learn from the Friends of High Town was super-plus good. 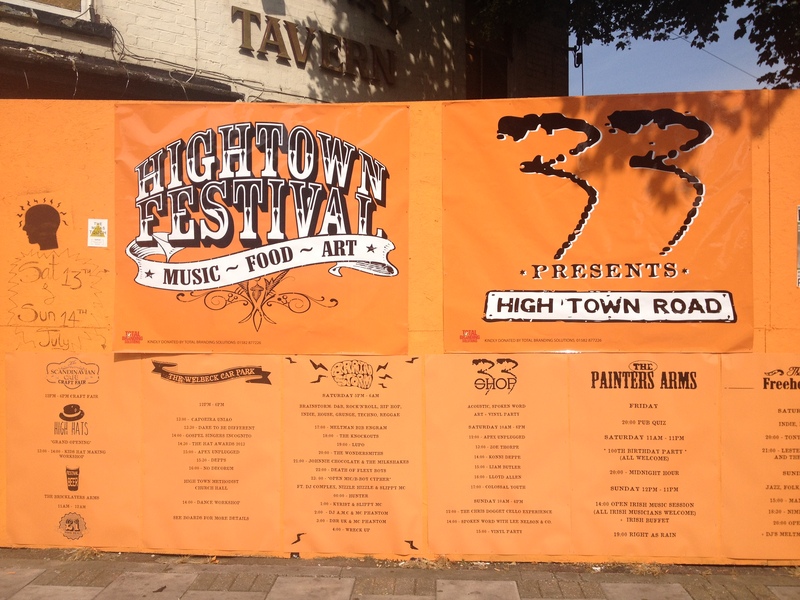 High Town (or ‘Hightown’) Festival sign in front of the now sadly fire-ravaged premises of the former pub, the Railway Tavern. We return to matters gastronomical, this time focusing on two of Luton’s finest tea and chips emporia: the Scandinavia Café and Restaurant, on High Town Road, and Tim’s Kitchen, now tucked away, ‘near the pram stall’, at the back of the indoor market in the Arndale. 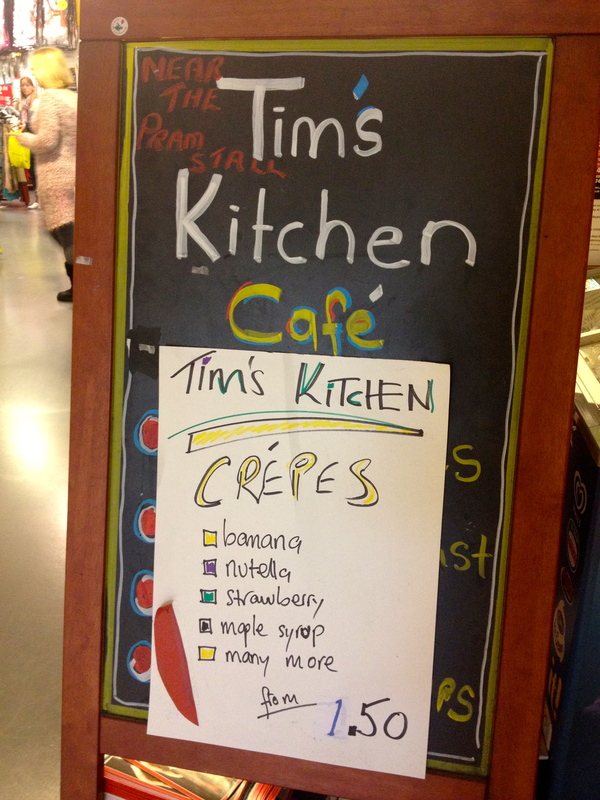 Tim’s Kitchen: near the pram stall. My Fair Luton: On Growing Accustomed to Luton’s Face. After ranging as far as Luton Hoo in my last post, my thirst to share Luton’s exotic outposts with you, dear reader, remains unslated. In which vein, a focus on Stopsley seems long overdue. I was tempted to include this post within my ‘café culture’ series (series of one…) because I do have a review to make of Coffee Express, but I’m going to save that for later. 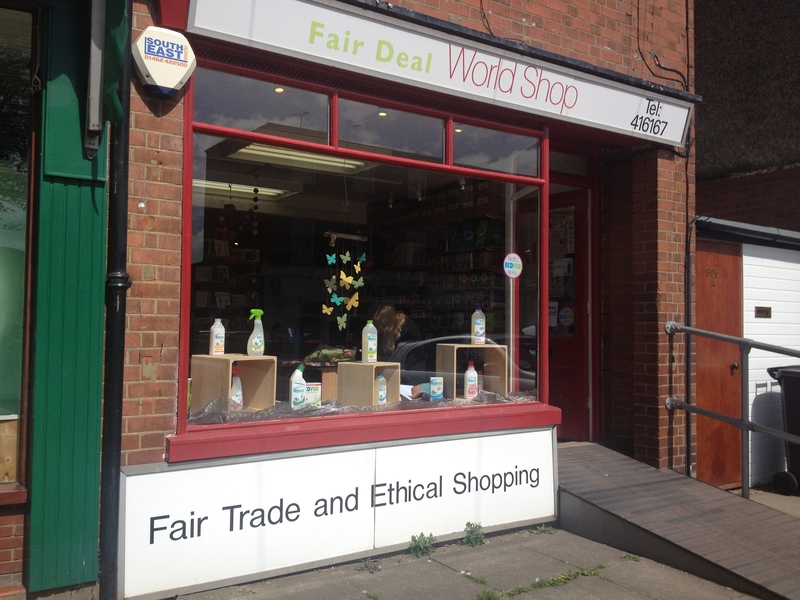 The real star and focus of this piece is the Fair Deal World Shop, Luton’s very own fairtrade store, dedicated entirely to selling ethical goods (food, cleaning products, homewares and gifts) and proving that it is just about possible to sustain an avowedly ethical business within Luton. The Fair Deal World Shop is an unexpected treasure, and it needs our support. 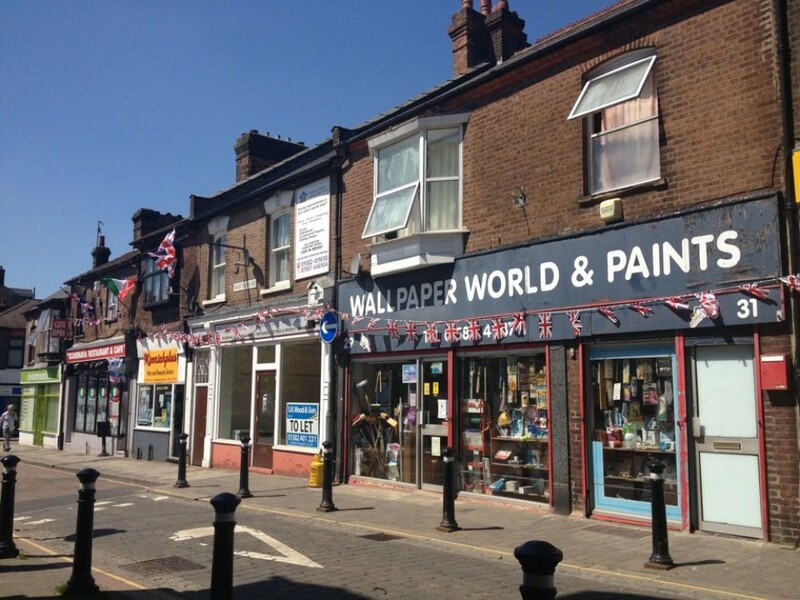 Small but marvellous: the Fair Deal World Shop, in Stopsley village. Yoga World & Pesto is a Luton blog dedicated to sharing, celebrating and sometimes lamenting the availability (or otherwise) of high-quality retail, leisure and cultural experiences in Luton (with a special focus on High Town, Round Green and Luton town centre). We will explore what’s good and what we wished was better in Luton, town of aspiration and welcome, bar none. Read more about Yoga World & Pesto here. Morning Yoga Class in High Town starts Wednesday 29 January!